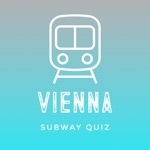 How well do you know the Vienna Subway? Can you identify the station from the photo? 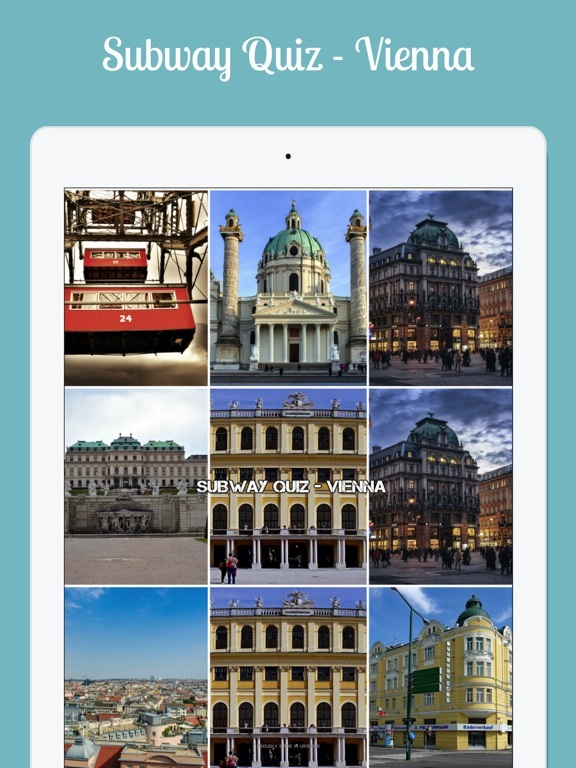 All stations of the Vienna Metro in a fascinating photo quiz. 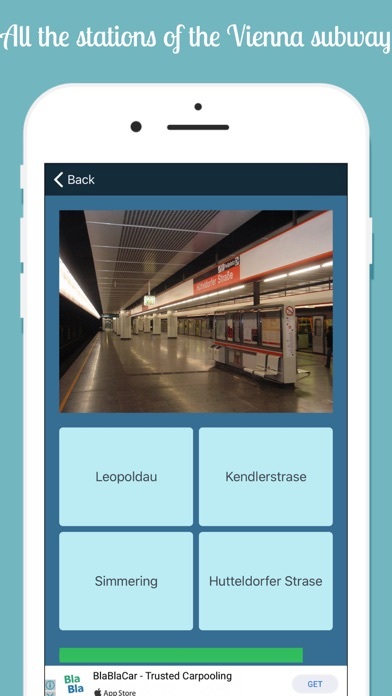 Guess all stations of the Vienna Metro and make no mistake! The Vienna U-Bahn (German: U-Bahn Wien), where U-Bahn is an abbreviation of the German term Untergrundbahn (English: underground railway), is one of the two rapid transit (metro) systems for Vienna, Austria. The second system is the Vienna S-Bahn. With the opening in October 2013 of the 4.2 kilometers (2.6 mi)-, three-station extension of the U2 line, the five line U-Bahn network consists of 78.5 kilometers (48.8 mi) of route, serving 104 stations. It is the backbone of one of the best performing public transport systems worldwide according to UITP (International Association of Public Transport) in June 2009. More than 1.3 million passengers rode the Vienna U-Bahn every day in 2009, and 567.6 million passengers used the U-Bahn in 2011, which declined to 428.8 million passengers in 2013. The network is undergoing expansion and rolling stock renewal. Since 1969, 200 million euros have been invested annually in the extension of the Vienna U-Bahn. The modern U-Bahn opened on 25 February 1978 (after test operations began on 8 May 1976), but two of the lines extended and later designated as U-Bahn (U4, U6) date back to the Stadtbahn ("city railway") system, which opened in 1898. Parts of the U2 and U6 lines began as subway tunnels built to accommodate earlier tram lines. Only the U1 and U3 were built wholly as new subway lines. Lines are designated by a number and the prefix "U" (for U-Bahn) and identified on station signage and related literature by a colour. There are five lines; U1, U2, U3, U4 and U6. Since the late 1960s there have been numerous suggestions of routings for a line U5, but all these projects had been shelved until the construction of a new U5 was announced in early 2014. Stations are often named after streets, public spaces or districts, and in some special cases after prominent buildings at or near the station, although the policy of the Wiener Linien states that they prefer not to name stations after buildings. Ticketing for the network is integrated under the Wiener Linien umbrella brand with all means of public transport in Vienna, including trams and buses. Local tickets are valid on S-Bahn suburban rail services and other train services but those are operated by the state railway operator, ÖBB. Tickets are not valid on bus services operated by Vienna Airport Lines and the City Airport Train express train.